Online Flowers Delivery in Jalandhar Made Easy! This entry was posted on July 20, 2018 by Way 2 Flowers. Flowers have been harbingers for a spectrum of feelings ever since the existence of humankind. We use flowers in occasions of joy and jubilation to decorate our houses, we use them to express strong emotions, and we use them as a token over mourning and grief. Our relationship with flowers has evolved over time. A bouquet is the quickest and the warmest idea we think of when we are celebrating birthdays, anniversaries and several other occasions. Here we offer you the easy way to choose the flowers you need; the shape, the colour, the variety. We help you make your customised bouquet and deliver it to any place you want in Jalandhar and Ludhiana. We are the passionate florists you need, and we assure you that all your roses, lilies, carnations, orchids and chrysanthemums can now reach their destination super easily. 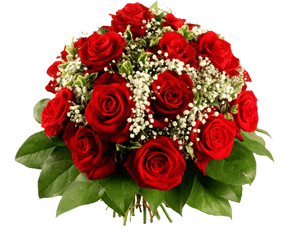 We offer online flowers delivery in Jalandhar, and you can also send flowers to Ludhiana with a simple click. So, you can now make all your special ones feel so much more special by wishing them warmly with the right flowers on special occasions. Let them know that you marked the date, let them know that you think of them. it's roses all the way! You can rely on our services and take it to be an excellent bed of roses. We will take good care of your bouquet customisation, specifications and your occasions and treat it close to our own heart; that's the only way you get to gel up well with us. We know trust takes time, and why should you rely on us when it is your special someone's birthday, and you are in a faraway land? The answer is all roses! You should rely on us because we will make up the right bunch of roses keeping your fancy wishes in mind and deliver it right at their doorstep. We'll do all we can to adorn your special occasions and festivals with a fresh flowery fragrance. We will always try and help you all we can with purple delights. If you wish to reach out to anyone with a fragrant flower in the state of Punjab, we got you covered. 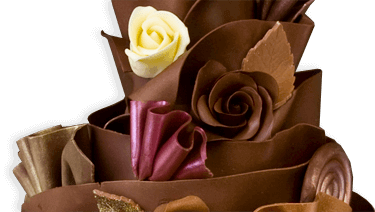 We promise you convenient online flowers delivery in Jalandhar. You can also sit back and easily send flowers to Ludhiana. The flowers and the ribbons, the leaves and the wraps, will all be your choice. We will just make sure your emotions reach their destination safe because we believe when you decide you give someone a flower, you share with them some warmth of your soul. In a world full of materialistic gifts, a well-arranged, colourful and vibrant bouquet can melt hearts. We thereby sit here to make sure that your feelings are efficiently delivered at the right door. So, the next time you want to send purple orchids to your estranged friend, white lilies to your mom on her birthday or a bouquet of lush red roses to your lover on "the day!" we hope you count on us.